During the last day four Ukrainian servicemen were wounded in the ATO zone. 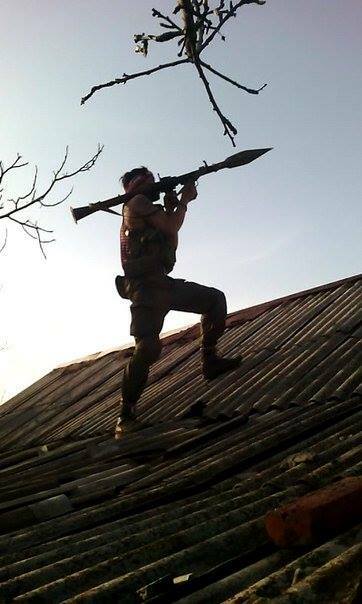 Social networks users post photos which prove that militants fire from heavy weapons being on roofs of civilians’ houses. Financing of elections on occupied territories of the Donbas, even if the issue of security is settled down, is impossible at present. That was claimed by Bessmertny, representative of the political section of the Trilateral Contact Group. – “Banking system is not working there. Real Ukrainian power is to be restored. Without that, Ukrainian government cannot finance the elections. In the present conditions, any financing will mean financing the illegal power on the occupied territories”. Krasnoarmiysk activists have been trying to erect a monument to Ukrainian poet Taras Shevshenko in that town of the Donetsk region for ten years. A memorial sign to Kobzar was fixed in February, 2006. However, the administration was changed in 2013, and the monument was not erected. Denis Puchylin, a member of the illegal “DPR” faction, told journalists that the grouping does not agree with Ukraine about nearly every point of concerning the legislation for holing elections in the Donbas. According to Pushylin’s words, the document is “changing considerably”. “This process starts taking too much time, meaning, it is discussed every time we meet. We disagree with the Ukrainian side about each point of it”, says Denis Pushylin. The Donbas militants confess that they have got used to killing and will not be able to live differently. This was said by a militant with a call name “Serb” in his interview to a Belarusian news agency tut.by. “We are all insane here as killing people became a usual job for us. Our enemy does the same thing. I understand that I cannot live in a different way”, thinks the militant. As it is said by the member of the illegal armed formation, such people are not necessary “for any authorities”. “Hardly anyone will need us after the war. We can be a serious threat for any power. I understand that this power may decide to get rid of us one day, say, take us to a field a shell with “Grads”. But my soldiers and I do our job honestly”, says “Serb”.